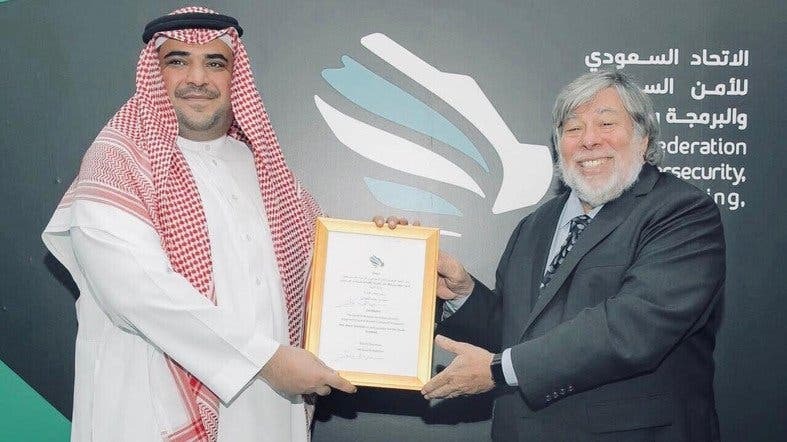 The Saudi Federation for Cybersecurity, Programming and Drones named Steve Wozniak, the co-founder of Apple as Ambassador of “Saudi TechHub”, with Saudi advisor in the Royal Court, head of the Saudi Federation, Saud Bin Abdullah al-Qahtani handing over the certificate during the final day of Hajj Hackathon competitions which ended on Friday in Jeddah. Al-Qahtani said that Wozniak’s selection comes within the framework of the Federation’s keenness to attract the best minds in the technology sector in Saudi Arabia, in order to make the Kingdom the technology hub in the region. The Chairman of the Federation expressed his sincere thanks to Wozniak, whom he described as one of the most important minds that changed the history of the world, for his enthusiasm and acceptance of the position. For his part, Wozniak expressed his happiness at accepting this position from the Saudi Federation for Cybersecurity, Programming and Drones, pointing out that what prompted him to accept the position of Ambassador of the Saudi TechHub, was the remarkable development he noticed in Saudi Arabia’s approach to the world of technology, which strengthens the great vision of the Kingdom of Saudi Arabia for the technical sector in general - which is a source of enthusiasm for the project undertaken by Crown Prince Mohammed bin Salman - is a huge future project with a new and bold vision for a world which is changing every day. He confirmed that “the success of the Hajj Hackathon gives serious indications of the interest among Saudi citizens in programming and emerging technologies. There is a great chance that Saudi Arabia will be an important player in the evolving and changing technology community and that it will soon be the main gateway to the Tech Hub in the region,” Wozniak said. The Apple co-founder added that “Vision 2030 is fascinating” and that he was a fan and follower of the NEOM project in particular, which he described as “an amazing idea”. “This is a remarkable success story in Saudi Arabia that can be written in the near future and will be an example to be followed internationally,” Wozniak said. He said he will be a supporter of this by being an Ambassador to the Saudi TechHub, expressing his support to the Saudi Federation for Cybersecurity, Programming and Drones. 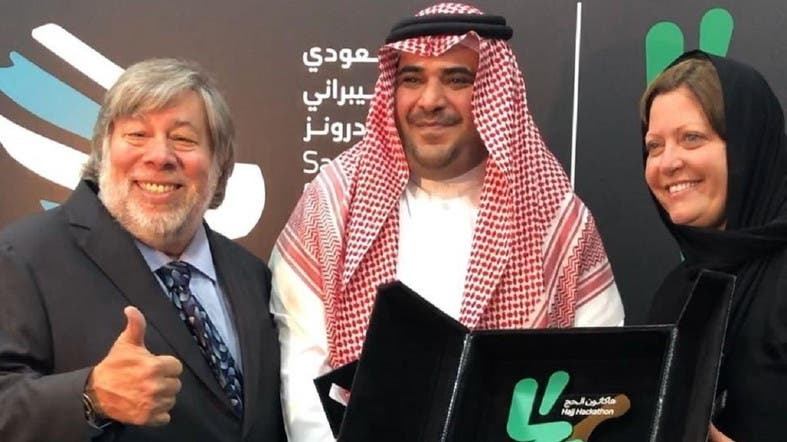 The appointment of Wozniak as Ambassador of the Saudi Federation for Cybersecurity, Programming and Drones for the Saudi TechHub, will provide the impetus for the Kingdom of Saudi Arabia’s Vision 2030 in its technical aspects, as well as the alignment between the Saudi technical needs and the latest developments in this sector in the world.